Christ loved the Church.. precious words indeed for all who love Christ. In John chapter 3 verse 16 we read that:- “God loved the world.. within the scope of His eternal love.. for God’s love is a general love for all. Ahh, but Christ’s love for the Church, is a close, cherished, devoted, personal love. Christ’s love is a precious love – betwixt Him and His Church. It’s a penetrating love – between Christ and His Body. 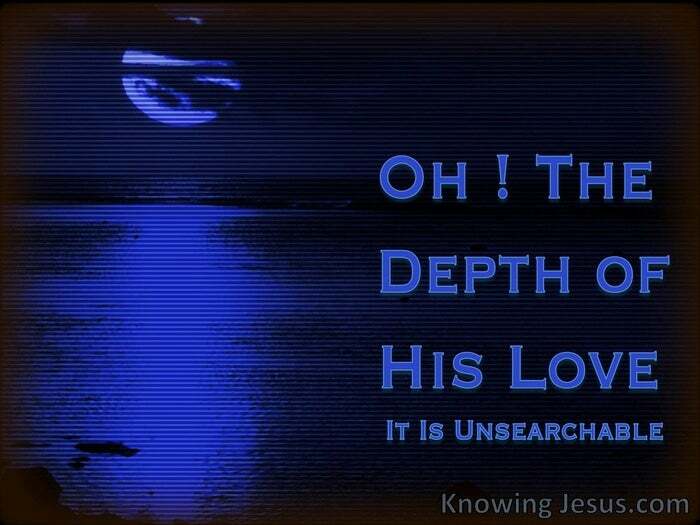 It’s an intimate love, that flows from the Son to His own darling dove. It was for the Church that the Lord Jesus gave up His life. It was for this pearl of great price – the Lord gave all to purchase her for Himself. He loved her as Himself, and has seated her together with Him in heavenly places. He treasures her so dearly, that He betrothed Himself to her as a Bridegroom. He gave Himself for His bride, that He might set her apart as unto Himself. The Lamb of God sacrificed His life.. that His Church might become the wife of the Lamb. He relinquished all His heavenly glory, so that she may sit with Him on His throne. He ate the bitter fruit of sin and death for her – for you and me! Christ did all this so that His Body might eat of the sweet fruit of the Tree of Life. Christ desires to be with His Church, and the prayer He prays to the Father about us, passes all understanding:- In John 17 we read this: All I have is Yours, and all You have is Mine, and glory has come to Me, through them. This love is so amazing, so divine, it demands our soul, our heart, our life, our all. This precious truth of the profound depth of Christ’s love for His Church demands our rapt attention! We are this congregation of saints that God has given to the Lord.. as His precious possession. We are the flock of God, given by the Father to the great Shepherd of the sheep. We are this habitation of God.. this spiritual house – this temple of God, wherein His Holy Spirit dwells. We are His heavenly Jerusalem.. the Israel of God – the city of the living God. We are His golden candlestick that gives light to a darkened world. We are His ransomed race.. a noble army – soldiers of Christ. We are His new creation – the general assembly of the firstborn. We are His beloved Church. We are members of Christ’s body. He loves you personally- precious child of God – with a love that passes understanding. He prays for you individually, beloved saint – He intercedes for you day and night. Christ, in His heavenly role of Mediator and Priest, prays for His own future bride. We read in John 17, I pray for them. I am not praying for the world, but My prayer is not for them alone (the disciples in the upper room). I pray also for those who will believe in me through their message – that all of them may be one, Father, just as You are in Me and I am in You. May they also be in Us so that the world may believe that You have sent Me. I have given them the glory that You gave Me – that they may be one as We are one: I in them and You in Me. May they be brought to complete unity to let the world know that You sent Me – for I have loved them even as You have loved Me. Father, I want those You have given me to be with Me where I am – to see My glory, the glory You have given me because You loved Me.. before the creation of the world. Righteous Father, though the world does not know You, I know You, and they know that You have sent me. I have made You known to them, and will continue to make You known, in order that the love that You have for Me may be in them – and that I Myself may be in them. Oh the depth and extent of this love for each one of us, surpasses human imagination. The scope and magnitude of this profound grace, transcends man’s thought.. He collects the misty-eyed tears that wet our bewildered cheeks ..to demonstrate the extent of His love for us.. and places them in His bottle of mercy – and records the number and volume therein. Let us trace the rainbow of His grace and love – through the tears of our grateful hearts, and accept Him at His word-by faith. Christ’s love for the Church is a profound mystery indeed, but it is YES and AMEN in Christ Jesus. 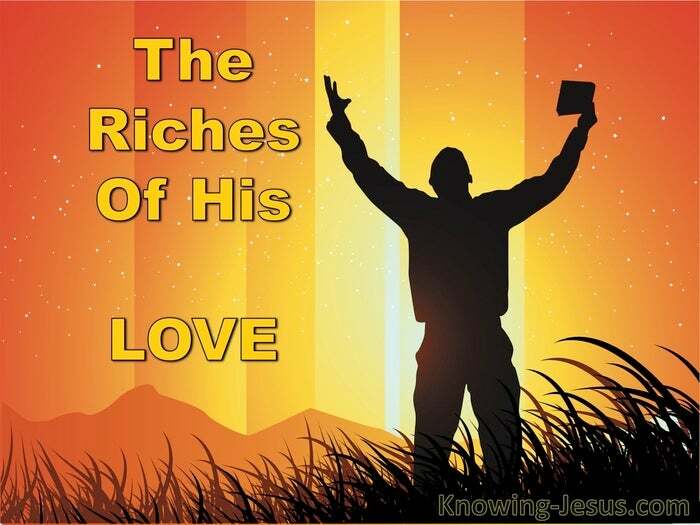 Oh, the depth of the riches of the wisdom and knowledge of God! How unsearchable His judgments, and His paths beyond tracing out!